Though they are often mistaken for bees or hornets, yellow jackets are a distinct type of insect. Yellow jackets are one of the most common types of stinging pests because they frequently inhabit human structures. If you think you may be dealing with a yellow jacket infestation, it is important to deal with it promptly. 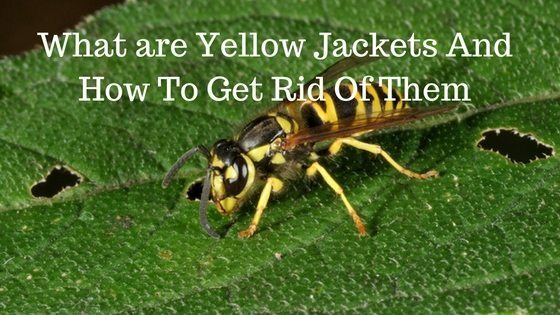 Here is everything you need to know about getting rid of yellow jackets. Yellow jackets is a broad term used to apply to many different categories of the Vespula and Dolichovespula species. Dolichovespula species of yellow jackets tend to create aerial nests, while Vespula species build hidden nests that are often underground. In North America alone, there are 17 different species of yellow jackets that commonly infest homes. The typical yellow jacket is roughly half an inch long with yellow and black bands across their abdomen, but some may look slightly reddish or whitish. The most common type of yellow jacket species is the Vespula maculifrons, also called the eastern yellow jacket, but the Vespula squamosa, which is referred to as the southern yellow jacket, is more prevalent in southern areas. Yellow jackets tend to create large colonies in many celled nests. Though worker yellow jackets die off in winter, the queens are capable of surviving through the winter and rebuilding the colony in spring. If an infestation is allowed to remain in the same area for several years, their nest can become truly massive. Unlike bees, yellow jackets allow several egg laying queens to remain in the colony alongside workers and drones. Yellow jackets mostly eat carbohydrates in the form of fruits, nectar, and tree sap, but they will also eat proteins and sugars from human foods. When they feel threatened by humans, yellow jackets are capable of stinging harshly. In addition to being dangerous because of their sting, yellow jacket nests can also harm buildings and other structures. Depending on the type of yellow jacket infesting your home, you may not be able to see the nest. The aerial nests of Dolichovespula can hang from trees or the eaves of a home, so they are easily spotted. However, Vespula species tend to prefer either underground holes, crevices in a home, or locations inside of a tree trunk. If you do not see their nest, you can still identify an infestation due to the frequent presence of yellow jackets flying around. Even without getting very close to the insects, you can identify them due to their fast flight pattern that goes from side to side before landing. You can then try to look around for the nest by following the yellow jackets or finding the highest concentration of the insects, but be careful of stepping on the nest if it is an underground Vespula nest. In the course of first noticing a yellow jacket infestation, many people end up getting an unpleasant surprise when they are stung by a yellow jacket. Yellow jacket stings do not normally leave a stinger embedded in the skin, but if this happens, gently scrape it out without squeezing it to avoid pumping more venom into the mixture. Make a paste from baking soda and water and apply it to the area to reduce inflammation and pain. 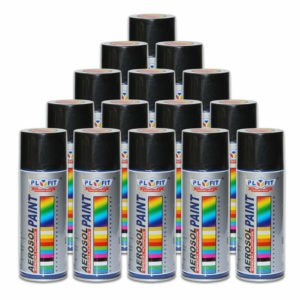 You can then take an antihistamine or painkiller to deal with any unpleasant itching or discomfort until it is healed. There are a few different options of getting rid of yellow jackets. Whatever treatment method you choose, it is best to approach the nest while it is cool and dark. The early morning or late evening is the best time. Trap the insects in the nest: If you are just dealing with an underground Vespula nest, you can actually get rid of them by trapping them in their hole. In the early morning, while it is still cool and most of the yellow jackets are in their nest, place a glass bowl upside down over the hole, ensuring there are no tiny cracks for the yellow jackets to escape. Over time, they will die out because they cannot dig an escape route. Zap the yellow jackets: It can be dangerous to locate a hole and actually cover the entrance, so a bug zapper can be a good alternative. As long as you put it near the nest, the yellow jackets will see it as a threat, so they will attack it repeatedly until all of them are dead. Vacuum up the yellow jackets: The yellow jacket instinct to attack anything loud and vibrating can also be used to trap them in a vacuum cleaner. On a cool morning, place the vacuum cleaner near the nest with the hose pointing right by the entrance. Turn it on until all the yellow jackets are sucked inside, tape up the hose entrance while it is still running, and then let it sit in the sun for a few days to kill the yellow jackets. Use an aerosol insecticide: This method works best for aerial nests, but it can also work for underground nests. Pyrethrum based options will kill them very quickly. Try an insecticide dust: There are also many insecticide options formulated to kill yellow jackets that come in the form of a dust. These take a little longer to work, but they are highly effective. Prevent their return: Even after killing most of the colony, it is possible for yellow jackets to return because they will take advantage of abandoned nest and convenient structures. Try to fill in any underground holes, and clean up any trash or fallen fruit to avoid attracting yellow jackets. Keep in mind that yellow jackets are very dangerous, especially if you are allergic to them. If you do not think you can safely manage to remove the infestation alone, call a trained exterminator who has experience getting rid of these pests.